Despite being barely mentioned on SmackDown in recent weeks, WWE was planning to follow up on Team SmackDown, which was losing all of its main card games to the Survivor Series pay per view. According to Dave Meltzer of Wrestling Observer Radio, the plan was scheduled for follow-up in January. Late payment could occur in the period preceding the Royal Rumble pay-per-view as WrestleMania 35 the season begins. As noted, WWE still has important creative plans for Shane McMahon, Commissioner of SmackDown, who is starting WrestleMania season 35. It is expected that Shane will undergo a character change in the first quarter of 2019. It is not yet known what he has planned, but it will probably be fitting his match to WrestleMania. The change will also be linked to Shane's World Cup win at Jewel of the crown. WWE had planned that Shane would face Daniel Bryan at WrestleMania 35 but that changed when Bryan won the AJ Styles WWE title. It was thought that Shane's planned heel with the World Cup victory led to the WrestleMania match with Bryan. 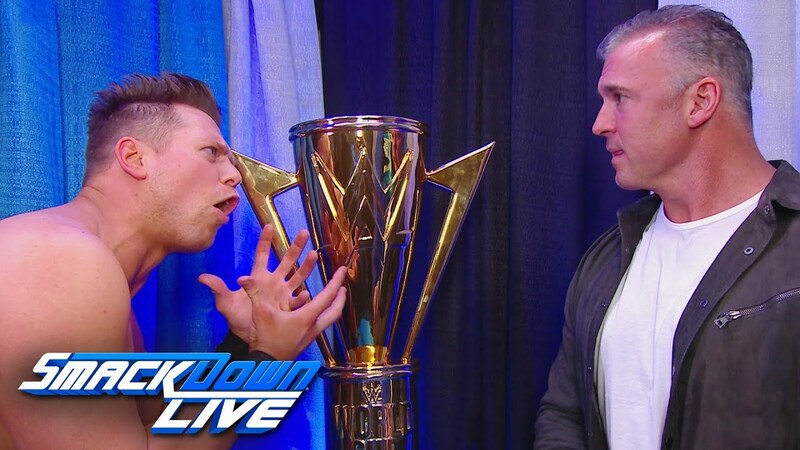 It was also thought that Shane's heel turn had been abandoned, but nothing confirms what they have now planned for Shane to be in a new scenario with The Miz.